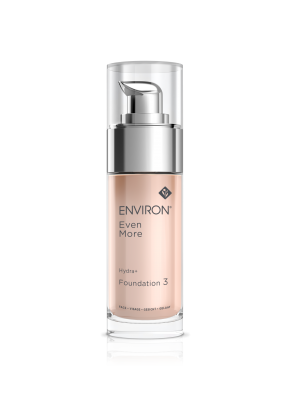 Hydra+ Foundations are specifically formulated to moisturise and provide light, even coverage, complementing the skin’s natural colour. The liquid formula has a rich and creamy texture allowing the product to glide onto the face, leaving the complexion flawlessly smooth and even looking. Available in four colours to match skin colour perfectly. Contains Ginko Biloba Leaf Extract, an antioxidant with moisturising and soothing properties. Contains Panax Ginseng Root Extract for a skin brightening effect. Contains Sodium Hyaluronate to promote hydration. Contains Tocopheryl Acetate, a form of vitamin E, an effective antioxidant with moisturising properties. Assists in shielding the skin from the sun and environmental stresses.